Casino cashback offers: how to make guaranteed profits! Using these opportunities you have two choices; make a small but guaranteed profit, or give yourself a chance of banking a big profit. The great thing about this method of making money is that it’s nice and easy to do. As side hustles go it’s kind of similar to matched betting in a way. Plus it’s pretty good fun! 1 How much money can you make from this method? How much money can you make from this method? It’s impossible to give a solid figure because of the nature of the method. Most individual cash back offers are around £10-£30. Over time the cashback offer will be the average profit if you decide to go for the guaranteed route. However, if you decide to try and win big, the skies the limit in terms of profit, but it will only be break-even if the slots don’t fall in your favour. First off let me say that this article is for people in the UK. 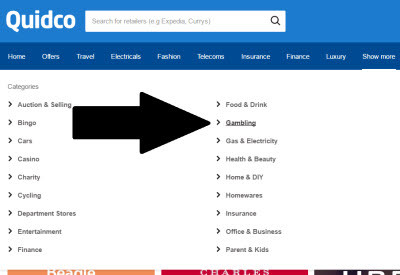 I know visitors come here from many countries, but cashback websites vary from country to country as do gambling laws. If you’re not from the UK then you are welcome to still read it and see what’s possible in your region. Lot’s of the online casinos use cashback websites to get more players joining them. It’s effectively a form of advertising for the casinos. Which opens up an excellent (and completely legal) opportunity for us. Obviously the casinos want real players so there is a minimum “wager” requirement for each. Once you’ve done that you get your cashback. The thing is, the minimum wager is always low, often the same or lower than the money we’ll receive. We join them, make a small deposit and meet the minimum wager – then bank the profits or risk those profits to hit it big! Here is a real example of an excellent offer from Ladbrokes. As you can see all you have to do is join and wager £20 and you will receive £40.25. A beast of an offer! On top of this, slots pay a high percentage of the amount wagered. It is always between 92% and 99%. That means the average player who wagers (for example) £100 will get between £92 and £99 back. As long as you keep each spin of the slots at a low value, say 25p, you will get lots of little wins as you wager your £20. That way you will never wager £20 and lose £20. On average you will get back 93-99% of that back. In fact, in the Ladbrokes example if you didn’t win on a single spin of the slots you’d still make £20.25 profit, wahoo! Here are the maths on how much profit you make each time, with an example below it, often things will go a lot better than this example. Now you understand it, let’s do this, it’s easy! Step 1: you need to have accounts at Topcashback and Quidco. If you don’t yet have those create a Topcashback one here, and create a Quidco one here. Do that now, they are both free. You will need accounts at both of those places because they have different casino websites listed on them, so to make all available profits you need to create accounts at both. Step 2: once you’re logged in it’s time to look through the offers and we’ll be making money in no time! Now you should be in the right categories on both websites. I hope you are doing this along with me, if not then why not! Don’t just sit there not taking advantage of opportunities! Step 3: Now you need to look through and decide which offer you want to take advantage of first. They are always changing and sometimes there are limited-time offers on. The Ladbrokes example I posted further up this page was the best at the time of me putting together this page. How can you work out which is the best offer? You need to look at each one and not only see how much they will give you in cash back but also how much you wager. You may want to do a smaller one that has a low wagering amount if you want to get comfortable. Over time the more you go through the more profits you’ll bank. When you’ve found one you want, simply click-through and go through the signup process. Be sure not to use any special codes or anything during the joining or deposit process for any of the casinos. It can void your cashback! Step 4: Once you’ve joined and deposited the minimum amount it is time to hit the slots. From here I will use screenshots of an offer I completed yesterday and share with you the profits I made. Have a look around the casino website you are on and pick a slots game you like the look of, it doesn’t really matter which one, just go with what looks like fun. Once the slots game is open you need to get the wager for each spin to the lowest amount, it will nearly always be 1p. If there are 20 winning lines it will mean each spin of the slots is 20p. Here is an example from a game I played yesterday called Starburst. I was playing on a website called MegaCasino. Do a quick bit of maths to work out how many times you will need to spin the slots. If you have to wager £20, then at 20p a spin it will mean you need to do at least 100 spins. Because 20p divided by £20 is 100. As you spin keep count in your head. You will then have to wait for it to be approved, which varies so there is no way of knowing exactly how long it will be. Unfortunately, you will sometimes have to wait a couple of months for it to be payable! That’s the only downside to this method. It’s very quick to do, but takes slightly longer to get the cash into your bank. Now it’s time to work out your profit. In my example for this post, as I mentioned I was playing on MegaCasino. The requirement was “wager £20 and get £16.10”. You will notice in my screenshot above, that’s not what it says in my account! In actual fact for some reason it has tracked at £17.25! I’ve no idea why. I ended up with £22.97 in my MegaCasino account after playing slots, meaning a few quid up, nice! Here is a graphic demonstrating my result. If I decide to leave it there it will mean just over £20 profit. The other alternative is to keep playing with that extra £20 and try and hit it big. This is what I mentioned at the start of the article. You now have the choice of taking the guaranteed profit, or risking it to try and hit a big bonus on the slots! For now I’m going to leave the funds sitting in the account because I don’t need them. There’s no point withdrawing it straight away. I will sit on the profits for a while and see how things go as I complete other offers. What will you decide to do with your money? 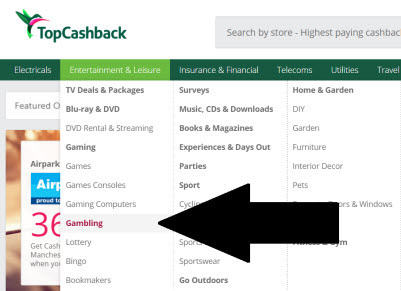 So that’s it, everything you need to know about profiting from casino cashback offers. Take your time with it. Read through this page a few times if you have to! It’s really easy to do, doesn’t require much cash, is quite good fun, and doesn’t take that long once you’ve done it on a couple of the sites. In time you’ll be looking at the profits feeling fantastic. In time I will be reviewing different online casinos I use and sharing with you how I get on with this money-making method. A couple of years back I reviewed Paddy Power and really enjoyed it. If you are unsure about this and want to emulate what I do then please keep checking back at the website or follow on social media. Now let’s get stacking those pounds. Any questions about this? Please feel free to ask and I’ll do my best to help out and answer you swiftly.